Here at Leonidis Tools&Plastics we work diligently to offer you only the very best in plastic extrusion profiles. Plastic extrusions, industry’s most cost effective manufacturing processes, is most common with clients that are looking for a final product that has either a very complex design or 3 different materials in one cross-section . Our secret to premium plastic extrusions lies in the premium materials that we use. We work closely with industry-leading material manufacturers and have extensive experience extruding more than 30 different thermoplastic compounds. Our experts will work with you to make sure that we not only select the correct material for your job, but that you also understand the manufacturing process. We use over 15 different materials that cover a wide variety of uses and each has its own set of advantages. Our Rigid PVC is flame resistant, can resist most chemicals and is perfect for many simple and complex shapes. Other materials that we use include Acrylonitrile Butadiene Styrene (ABS), Polyethylene (PE), Polypropylene (PP), Polymethyl methacrylate (PMMA), Polycarbonate (PC), Αcetal (POM), Polyamide (PA) and many more. Once we determine the best material for your application, we will work with you to make sure the tool is designed in a way that results in an end product that is up to both your standards and ours. We have worked hard over 38 years to improve this process and we are happy to report our capabilities are among the highest in the industry. 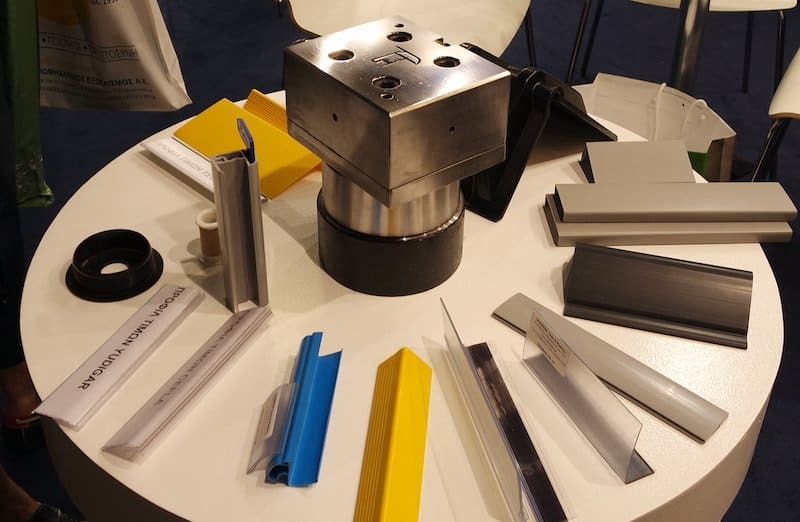 After the plastic is produced we put the final touches on your end product, from packaging or assembly to close tolerance cutting, Leonidis Tools&Plastics has a number of value-added services. 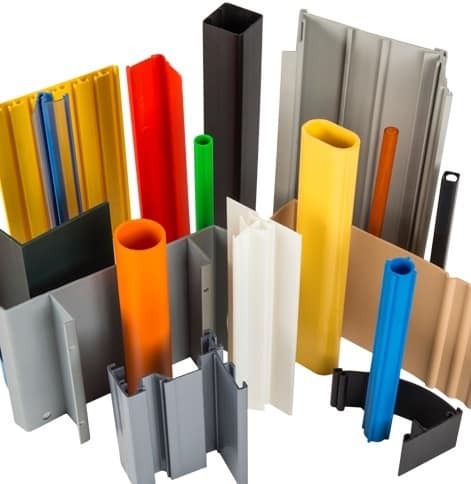 We manufacture custom plastic profile extrusions for a variety of industries including commercial furniture, store fixtures and POP displays, plus a diversity of original equipment manufacturers or custom plastic profile extrusions for unique applications. Let us know what your plastic extrusion need is and we will work with you to develop a solution that is both cost effective and high quality, with exceptional customer service.